Footwear - Foam Solutions Inc. The Footwear market is a tough market, in which the customer demands a comfortable and economic product that also meets specific aesthetic mandatories. The evolution of collections and trends, necessitates continuous product improvements and productive process optimization. Foam Solutions manufactures, sources and develops globally, in order to offer optimal local solutions. This way, a wide range of products are developed and offered to the client in which comfort, design and endurance are the main features. 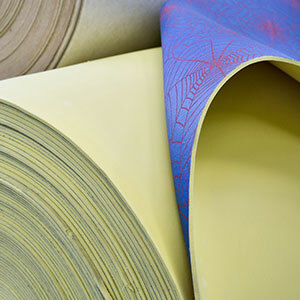 Continuous foam sheets with different strength levels and different backing materials. High endurance products that provide support and permeability. 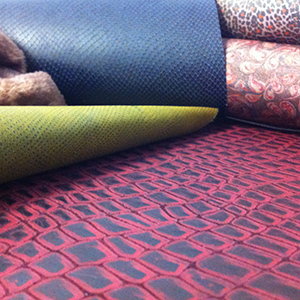 Pleating, printed, thermoadhesive and foaming textiles. 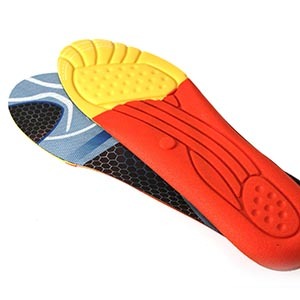 The product combines advanced modern and customized design with promptness and reliability of the developments. .
Non-textile backing latex foam sheets for shoes. Customized design products with high endurance and permeability that latex foam provides. 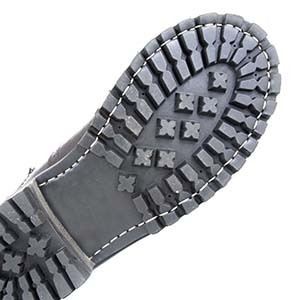 Tailor-made thermoplastic rubber for shoe soles and pieces. Customized and reliable product backed with a highly skilled technical service.